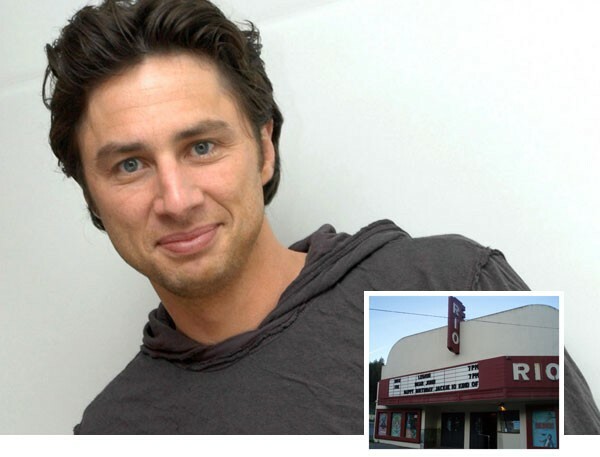 News / film Did North Korea Attack the Rialto Cinema's Website? Update: The Rialto will be showing The Interview at 9:40pm starting Christmas. No, they didn't but such are the times we live in. I just read that a few theaters are going to screen "The Interview," pudgy faced North Korean dictators be damned. I was pleased to see that Berkeley's Elmwood Theater is one of the brave theaters to show the movie. The movie house is the sister of Sebastopol's Rialto Cinema. I wondered if they would show it in Sebastopol too but when I went to their website it was down. And when I checked the Elmwood site it was down too. Did North Korean hackers do it? 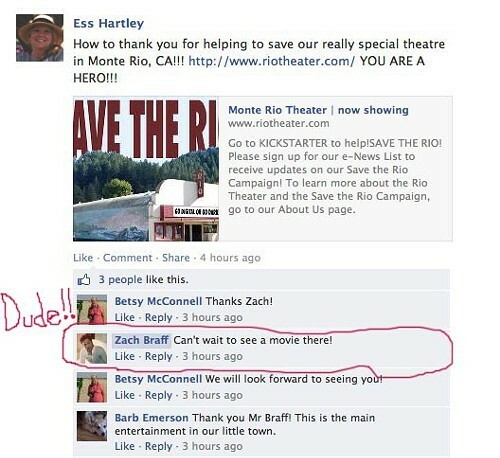 No, said Melissa Hatheway, the Rialto's director of marketing and community relations. Just a buggy server or something. Or maybe the the rush to buy tickets crashed the site. Hatheway said it was easy to slot the movie in Berkeley because they had a one-off movie they could bump but no such luck in Sebastopol. The movie list was set and couldn't be rejiggered, she said. Both sites are back online and everything seems cool for now. But I for one will remain vigilant against any moves from Pyongyang. A familiar sight at farmers markets around the North Bay, Gleason Farms offers pasture-raised poultry and other meats that taste better than anything found in a grocery store. But the Sonoma County farm, like many other family farms these days, is facing some tough times. Money problems turn into family squabbles, and the death of two parents in six months increases the stress. Sounds like a dynamite movie plot, and it is—sort of. Morgan Schmidt-Feng is directing a documentary about the 150-year-old, 5th generation farm, using footage gathered over four years, showing the rise, fall and rebirth of this farm and this family. It’s called “Risking Everything,” and the trailer sure is compelling. It’s a microcosm of what’s happening to farms across the country, in a way, and the local aspect makes it that much more compelling for the North Bay audience. 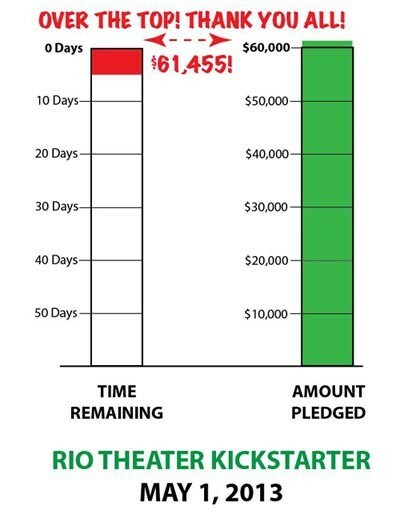 By the way, here’s an Indiegogo campaign to raise funds to finish the movie. With BottleRock just about ready to boom, Napa’s other wide-eyed fest, the Napa Valley Film Festival, is getting in on the action early with some music-centric sneak peak screenings. Monday, May 6, taps the organization’s alliance with BottleRock for a fundraiser/screening and Q&A of the documentary Sound City, Dave Grohl’s (of Nirvana and Foo Fighters fame, who will be in attendance) directorial debut. Tuesday, Sundance favorite Twenty Feet from Stardom will get its Napa debut at the building formerly known as COPIA. Music is also on the mind in this flick, which brings the stars-behind-the-stars to the forefront. Rock legends like Sting, The Boss and Mick Jagger wax about how below-the-radar backup singers like Darlene Love, Lisa Fischer and Judith Hill (now forging her own tracks on Season 4 of The Voice) helped define the sounds of the time. 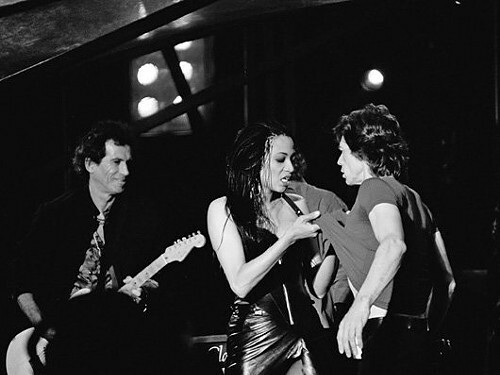 Director Morgan Neville will be on hand for Q&As after both screenings, and Fischer, making a pit stop off her tour with the Rolling Stones, will perform live following the 5:30PM screening. Looks like Napa is most definitely ready to rock. The 5:30pm screening is $20 and includes a wine tasting; 8:30pm screening is $10. 500 First Street, Napa, www.nvff.com. The night began ominously. We were finally seeing the Hobbit in its last-chance big screen showing, at the cheap-o discount theater in Santa Rosa. Just $4.50, what a bargain! 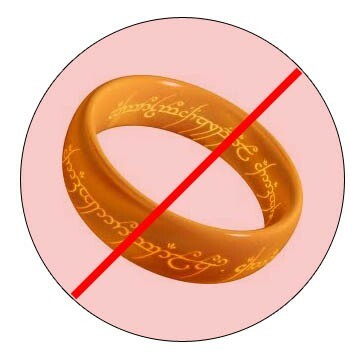 “Two for Lord of the Rings,” I say, promptly corrected by the young woman printing the tickets. “No, worse,” she says with a smile. “Yeah.” She looks up. “It’s terrible. Enjoy your movie.” With that, she handed us the tickets and we momentarily considered seeing what else was playing before heading into our theater. We should have considered it more seriously. I know this is now old news, but the movie really was terrible. I like the Lord of the Rings trilogy. I like fantasy fiction. This movie took the shortest book of the series, chopped it into three movies, and added too many special effects to keep track of. It was too much for the editors, apparently, because there were unfinished portions in battle scenes. Repeated motions of computer-generated creatures were obvious and at times a sword would appear to go directly through an enemy with no reaction, like someone forgot to animate that part. To boot, the movie was almost three hours long and there were several unnecessary musical numbers. Musical numbers! In a Tolkein film! Dwarves were cleaning up a hobbit’s house by tossing around the plates and singing. What is this, Sword in the Stone? And the physics of the battle scenes were too outrageous to ignore. A 50-pound log used as a shield repeatedly stops a giant, sharp sword swung by a giant beast? It was annoyingly impossible. So the movie sucked, and so did one of the people in our row, we suspect. After discussing the possible sexual behavior that could be accomplished in the theater, a couple two seats over from us pulled the ol’ jacket-over-the-lap routine. I’m no prude, but this wasn’t in the back row or anything. It was loud and the film’s volume was too quiet, so everyone could hear the “coming attractions” playing smack dab in the middle of the theater. It was so quiet that when the daring duo was finished I could hear the guy next to me biting his nails—or, nubs of nails, rather—loudly and repeatedly starting and stopping, making it impossible to tune out. The guy in front of us dropped a large bottle—it sounded like a wine bottle—several times. Dude, put it in a padded bag or just leave it on the ground. We finished the movie, astonished at our accomplishment. Both of us, it turns out, had wanted secretly for the other to lean in and whisper, “Let’s go get fro-yo.” But whether pride or just bad timing, neither caught on. By the time the marathon of unnecessary soliloquies was over, fro-yo was closed and we were annoyed. Moral of the story? Listen to your ticket booth attendant. She knows her stuff. 'Oz the Great and Powerful' has built quite the big hype. For the past month, movie trailers have been playing nonstop on Hulu, and ads for the movie have been everywhere. The movie is a prequel of sorts to The Wizard of Oz—helllooooo, Wicked—and it gives Oz fans the chance to see the imagined back story of their favorite characters, before Dorothy’s visit to the yellow brick road. The film stars James Franco as the heartbreaker circus magician with a hidden agenda, and follows his journey into the Land of Oz. In this movie's telling, prophecy has arrived to the citizens of Oz that a great wizard bearing their land's name will come restore peace. This wizard is meant to live a luxurious life in the great emerald palace—and of course, this sounds like a dream come true for a slightly selfish magician with nothing to lose. Mila Kunis steals the show in the role of Theodora, who later becomes the wicked witch of the west. Kunis starts off as a good witch, the sister to the evil witch Evanora, who loves to leave large paths of destruction. Theodora is a kind woman who wants nothing more than to restore peace to the land. She's the first person Oz meets on his journey, and falls for him instantly. When push comes to shove, will Oz be the Wizard this magical land needs? What made the good witch go bad? Not that I can give away those sorts of spoilers, but I can answer one question: does this film live up to the buzz? Yes. One other thing: the 3D experience is recommended for Oz fanatics who want to get up close with the colorful scenery. I love documentaries almost as much as I love free stuff, almost as much as I love getting two things I love at once. When all three come together, it's a miracle I don't explode. The Emmy-winning PBS Independent Lens series is showing every second Tuesday of the month through June 2013 at Rialto Cinemas in Sebastopol. Free movie night is awesome enough, but also: what else are you gonna do on a Tuesday? The series begins tonight at 7pm with Half the Sky: Turning Opression into Opportunity for Women Worldwide. For more, see Rialto Cinemas. A landmark series based on the book by New York Times columnist Nicholas Kristof and Sheryl WuDunn, Half the Sky follows celebrity activists America Ferrera, Diane Lane, Eva Mendes, Meg Ryan, Gabrielle Union, and Olivia Wilde as they travel through six countries to meet inspiring, courageous individuals confronting oppression and developing real, meaningful solutions for women and girls through health care, education, and economic empowerment. America’s middle class is dwindling, and the debate over how to save it is nowhere fiercer than in the normally tranquil state of Wisconsin. In Janesville, as jobs disappear and families are stretched to their breaking point, citizens and politicians are embroiled in an ideological battle about how to turn things around. Rafea — a 30-year-old Jordanian mother of four — is traveling outside of her village for the first time to attend a solar engineering program at India’s Barefoot College. She will join other poor women from Guatemala, Kenya, Burkina Faso, and Colombia in learning concrete skills to create change in their communities. Soul food lies at the heart of African American cultural identity. The black community’s love affair with soul food is deep-rooted, complex, and in some cases, deadly. Soul Food Junkies puts this culinary tradition under the microscope to examine both its significance and its consequences. Whitney M. Young, Jr. was one of the most celebrated and controversial leaders of the civil rights era. As executive director of the National Urban League, he took the struggle for equality directly to the powerful white elite, gaining allies in business and government, including three presidents. Trace the fascinating evolution and legacy of the original comic book Amazon, Wonder Woman. From her creation in the 1940s to the superhero blockbusters of today, pop culture’s representations of powerful women often reflect society’s anxieties about women’s liberation. Maldives President Mohamed Nasheed is confronting a problem greater than any world leader has ever faced — the literal survival of his country and everyone in it. His is the most low-lying country inthe world; a minor rise in sea level would literally erase it from the map. Amlan Ganguly teaches the children of Kolkata’s slums to become leaders in improving their own community’s health and sanitation. Using street theater, dance, and data as their weapons, the children have cut malaria and diarrhea rates in half, increased polio vaccination rates, and turned garbage dumps into playing fields. Love Free or Die is about a man who has two defining passions that the world cannot reconcile: his love for God and for his partner Mark. The film is about church and state, love and marriage, faith and identity — and openly gay Bishop Eugene Robinson’s struggle to dispel the notion that God’s love has limits. 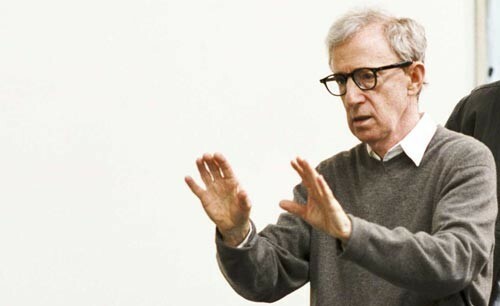 film Woody Allen is Filming in Marin County: Wanna Be an Extra? Looking for "clean cut, sophisticated, conservative looking Marin types 30s-40s." According to this casting call, Woody Allen will be filming a "daytime party scene" on Aug. 6 in Marin County, and he's looking for extras! Here's your chance to pretend to be high society while rubbing shoulders with the likes of Alan Alda, or Owen Wilson, or whatever rambling, hand-wringing doppelganger Woody Allen's opted to play himself in this, his 4,345th film. Allen's looking for actors both union (probably not you) and non-SAG (this means you!). But take note—cutoff-wearin' schlubs need not apply. Allen's looking for "clean cut, sophisticated, conservative looking Marin types 30s-40s . . . Must have upscale attire options, suits, dresses etc." Why he doesn't just go to Corte Madera and ask customers at Anthropologie is beyond me, but anyway, the job actually pays eight bucks an hour. You'll need to be available all day on Monday, August 6. Are you in? Read up, log in, and sign up here. Tonight marks the debut of the new audio magazine, Arts I.D., that the Bohemian is producing in conjunction with NPR affilliate KRCB 91.1-FM and the Arts Council Sonoma County. We've been working on this since October and I'm quite excited about its debut. Arts I.D. is a new monthly audio magazine devoted to the North Bay arts in all genres. The idea is to smash 'This American Life' together with 'Radio Lab' in order to birth something new and unique to the North Bay; the segments are both about the arts and pieces of art in and of themselves (ideally). I co-host the program with Boho 'Media' columnist Daedalus Howell. Longtime Boho contributor and current stage reviewer David Templeton is also a major contributor and has quite a delicious slice-of-life piece drawn from his own tortured adolescence in tonight's show. I'd be honored if you could give a listen. The program airs at 7pm tonight on 91.1-FM or streams online live at www.krcb.org. Henceforward it will be aired on the last Wednesday of each month at 7pm. The majority of the individual segments—without Daedalus' and my oh-so-witty interstitial commentary—are available now on www.artsid.org. We are avid for new contributors, ideas and voices for the program, so please don't hesitate to make suggestions or decide you want to a part of this exciting new project. Please tell your friends, colleagues and clients about it. We strongly feel that this is an excellent new way for the Bohemian to continue our quest to better serve the North Bay.